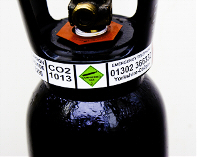 Co2 is held in its liquid form by the pressure of the gas. 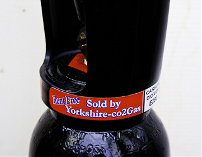 When the gas is drawn off the liquid evaporates until an equilibrium is created at approximately 57 bar (830psi). 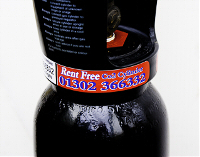 It is for this reason your Co2 regulator will not show the amount of gas left in the cylinder as the regulator will only show the pressure not the amount of liquid Co2 remaining in the cylinder. Pub size about 830mm high 6.35 kg. Short about 650mm high 6kg of Co2. Q. 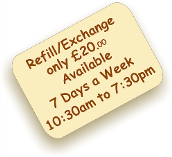 How much gas is in 1 kilogram of liquid Co2? 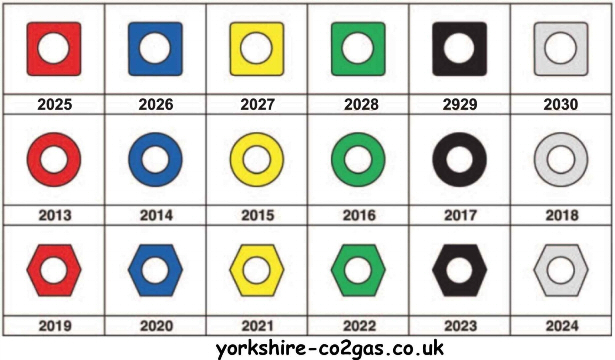 Copyright © 2013. yorkshire-co2gas.co.uk co2gas-yorkshire.co.uk co2-gas.co.uk All Rights Reserved.